While it may seem that Google Tag Manager (GTM) is solely an enhancement layer for Google Analytics (GA)… It does so much more than just poppin’ tags. Chief among them is the ability for media departments, clients and consultants (like LunaMetrics) to implement tracking snippets on the site in a quick and easy way without delay. Implementing tags is usually as simple as following the tag’s documentation and adapting it to fit in the Google Tag Manager world. 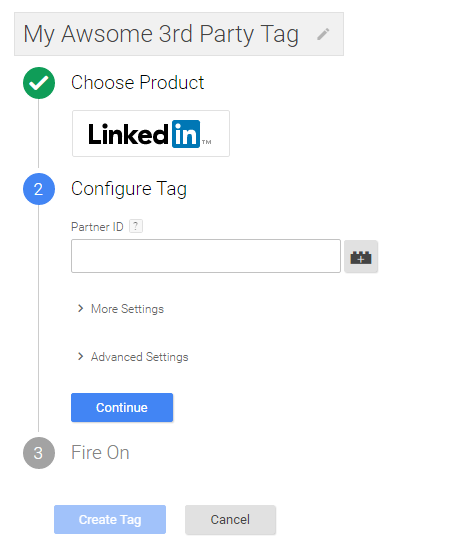 Many tag companies offer GTM instructions as well. 1. Can You Build an Audience Instead? Check and see. You can achieve the same result without adding an additional tag. 2. Are You Using jQuery in That Thing? 3. Do You Have Zero Revenue Conversions? Make sure those conversion tags are in good form. Among all of your fancy attribution tags, are they firing JUST with each the page load or when transaction data is present? If the former is the case, then you are potentially passing along a lot of ZERO revenue conversions! Firing the tag based on document referrer. Firing the tag based on cookie values. Firing the tag only when a GTM event is initiated through a data layer push. These methods are all great ways to make sure the targeted conversion page does not fire on reload or with a direct link. 4. Is Your Tag Using document.write? Using “document.write” can be bad news and it still pops up in tags. In fact, by default GTM blocks it and won’t allow your tag to scuttle off into the ether. BUT you can check the beautiful ‘support document.write’ box in GTM to … ah … support it. The magnificent Dan Wilkerson has a great guest post on Simo Ahava’s blog on why this checkbox is both cool and okay to do. 5. When Is Your Tag Firing During Load? Sometimes you just need to know when your tag is being sent. When you have to scrape data off the page using GTM variables, it’s important to make sure the tag fires WHEN those variables are loaded. While waiting until the page finishes loading is never ideal (you typically want those tags as soon as possible), sometimes it’s all you can do. By default, GTM allows you to send pageview-related tags first thing, followed by separate options for when the DOM is ready and when the window is loaded. If you are not sure when your variable will be ready to be picked up, you can easily troubleshoot the process using the GTM debug panel. If you want more control, you can always use the dataLayer to push in a custom event or even set up tag priority or sequencing. That should be more than enough options to have your way with these tags. 6. Is There a Predefined Tag Available? After that, you’re in business! It can still be a bit tricky deciphering code to identify the values you need. If that is beyond your skills, reach out to your ad tag representative and ask them for GTM instructions. 7. Did You Check the Network Tab? Whilst debug mode in GTM is great, and it can tell you if your tag is being fired, it’s still difficult to discern what your tag is sending and if it is being processed and accepted on the other side. That’s where the network tab comes in! Not only can you see the HTTP response code (if there was an issue in transmission) but you can more easily see the values that are being passed along. 8. Did You Test Your Optional Variables? Check Debug mode. If you have a bunch of variables you want to skim off of the data layer (or some other place) Debug mode is your new BFF. Without implementing your tags, you can see what predefined values are available to you or how your shiny new ones evaluate! 9. Are You Firing Your Tags Too Frequently? Remember that you control how often and where tags fire. Are you firing your tags on your Dev server? Are you firing your tags for your own employees or agencies that work for you? Should this tag be fired on mobile devices, or after midnight? Trigger exceptions will be your best friend here and will help you avoid over-firing your tags! There are many different platforms that use tags in different ways. Implementing them can be tricky especially if they are custom and require values that are not readily available. Ultimately, you need to know what happens when the tag reaches its final destination. Even if you don’t have access or visibility into the ad platform interface or data attribution endpoint, it’s crucial that you get feedback from the person that does. Don’t rely on “no news is good news”. Seek input to ensure your data is going to the right place and is as accurate as can be. As your site grows and the number of tags increase, keeping these tips in mind will help keep everything working properly! As a consultant, I continually go through these items when given a new tag to implement and verify that it’s working correctly. Happy tagging!